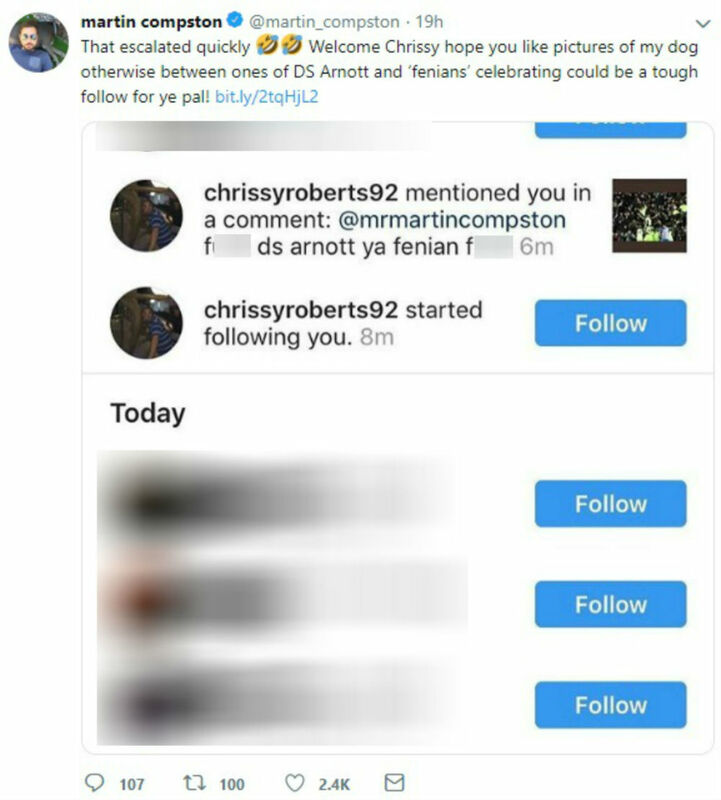 MARTIN Compston has been praised for his classy response to a bigot who branded him a “fenian” just two minutes after following him on Instagram. It’s not clear what prompted the outburst, which references a detective from Line of Duty played by Compston, who is a well-known Celtic supporter. Compston’s fans then piled in on “Chrissy”. Line of Duty season five starring Martin Compston is expected to air early this year on the BBC.